BEARS ON ICE is an event for people to enjoy themselves and feel pride in who you are. Friendly social event where you get you meet and mingle with like-minded guys and make friends from all over the world. 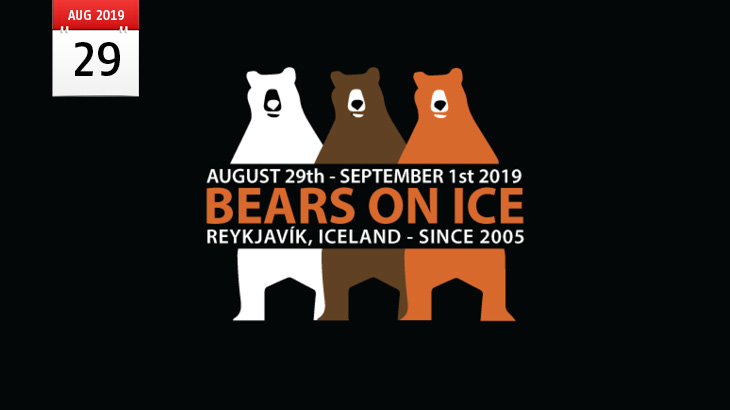 BEARS ON ICE will kick off August 29th, 2019 till September 1st. Passes for the event will be made available at our main website GayIce.is early 2019. The Full pass has sold out early in recent years so make sure to follow us on social media to be notified when they will be made available or check this website.